USA Football’s Seth Galina does another nice job of dissecting a college offense that stood out over the past several football seasons. 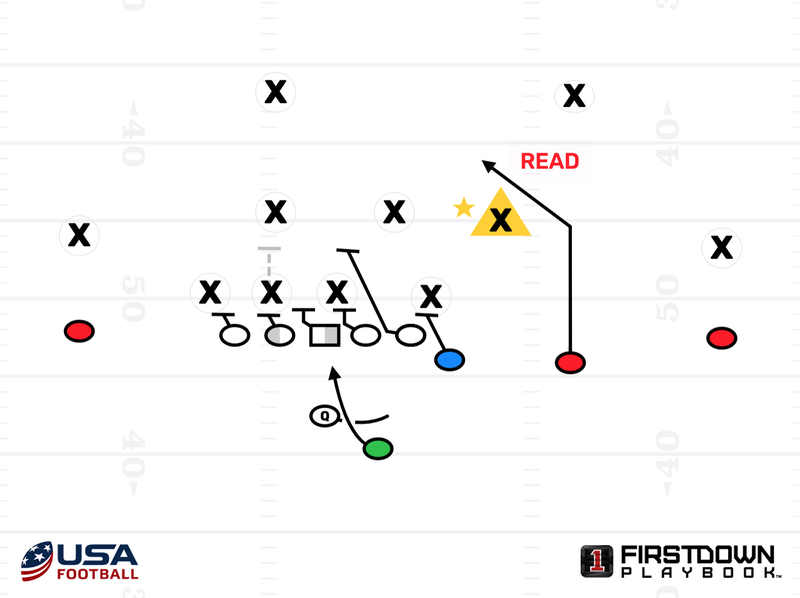 FirstDown PlayBook is proud to have contributed the drawings for the article. If you are interested in seeing these drawings in an editable form and making them a part of your football playbook, all you have to do is become a FirstDown PlayBook member and these great USA Football drawings and somewhere around 35,000 plus others are yours! 2017 was a memorable year for Baker Mayfield and the Oklahoma offense. He won the Heisman Trophy and the offense led the country in several categories. Many may not remember one of the best college offenses that year: Wake Forest. 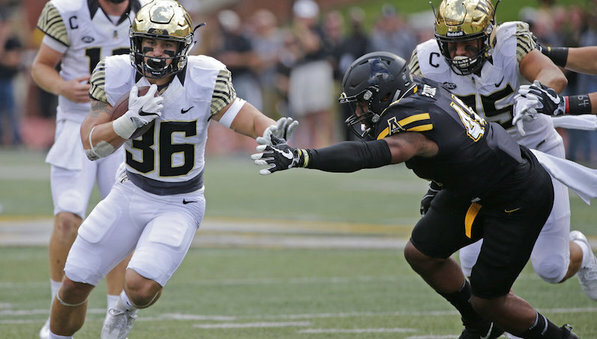 Led by head coach Dave Clawson, offensive coordinator Wayne Ruggiero and senior quarterback John Wolford, the Demon Deacons finished ranked No. 23 in Offensive S&P+. The passing attack finished No. 2 overall. Wolford finished with a whopping 9.4 adjusted yards/attempt. Looking at the film, much can be learned from their offense but upon further inspection, one aspect of their attack stands out the most. Their conviction and adherence to the RPO game was one of the biggest factors in their success. They took what the defense gave them. The irony is that their running game ranked 91st in the Rushing S&P+. The discrepancy in their passing and running efficiency plays into why the RPO is so effective. Defenders, especially linebackers, are taught to read step, move with their gaps and then fire into them. It’s going to take a while to deprogram linebackers into not wanting to rack up tackles for loss. Teams knew Wake Forest couldn’t run the ball, so when their offensive linemen starting moving and the quarterback put the ball into the gut of the running back, defenses tended to take the cheese. Twitter, Facebook, Youtube, Linkedin, Instagram and Pinterest!